We have a massive John Deere facility in Grimsby. Of course, it is surrounded by vast lawns. 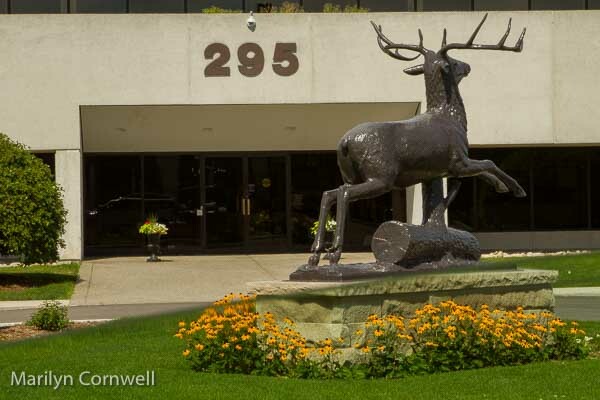 Its bronze deer out front is a notable feature of the property. While it is not listed in: http://www.roadsideattractions.ca/alphabet.htm, there are many interesting listings. It is worth a browse to see what crazy statues are out there to see. This is on Hunter Road at the western boundary of Grimsby and is viewable from the QEW.